FINALLY, I have actually made something on my To Bake list! I started the list to catalogue all the lovely things I see online that I want to try, but the list has just ended up getting longer and longer and actually multiplying because I also have a list in my notebook for things I've seen in magazines. Argh! 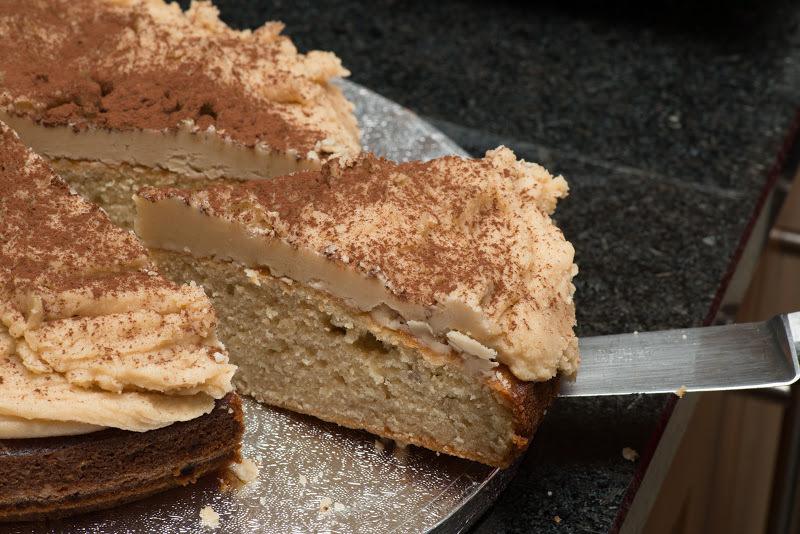 Anyway, for Mike's Dad's birthday in September I had a feeling that the Banoffee Cake I had seen on the Goddess' Kitchen might be just the ticket. I'm not really sure why, because he really will eat anything cake-wise, but I think he has a sneaky preference for fruit type cakes and this one just felt right! I believe the recipe is from Make, Bake, Love by Lilly Higgins which looks like a beautiful book and one that's gone straight onto the Christmas list. This was such a great recipe - so quick and easy and no faffy ingredients, so a great one to make use of the sad looking bananas left in the fruit bowl! The cake was lovely and moist and banana-y and the toffee topping just finished it off perfectly - it wasn't too heavy or sickly. The only tricky element to the cake was the icing - the recipe did warn that it hardens quickly and that is no lie! Maria had obviously been quicker than me as she has lovely smooth icing and mine was quite rough - to be honest I didn't mind and once the cocoa was dusted over the top I thought it made for a nice textured effect. I won't bother typing out the recipe as it is available here. Now I've got the first one boshed out I hope to make a bit more of an indent into the ever growing list! Do you see anything on there that you might like? If so and you know me in real life, please feel free to request something to chivvy me along! 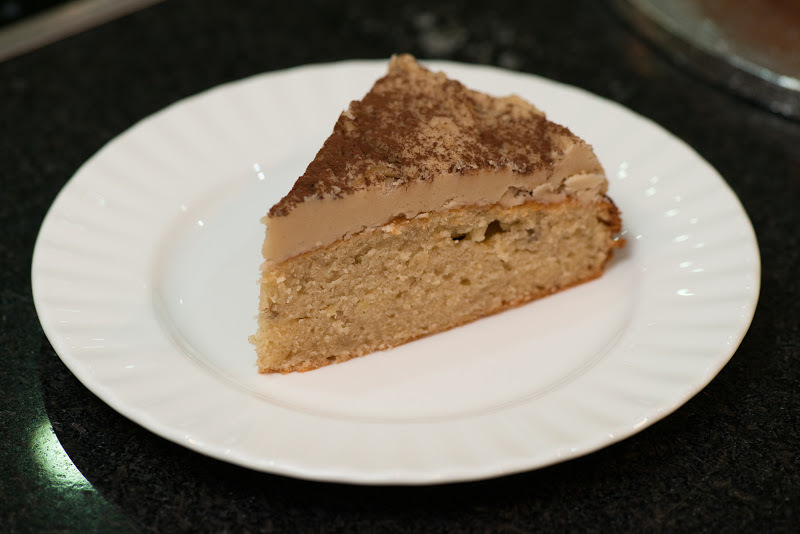 mmmmmm, I love a banana bake, especially if toffee is involved! Love the topping. Just had a look at your to-bake list to see if I could help but I think I just ended up adding more to my own list! I'm loving wintery bakes at the moment so I recommend anything apple/cinnamon/ginger related. Toffee icing,delicious!! In fact the whole thing looks delicious! 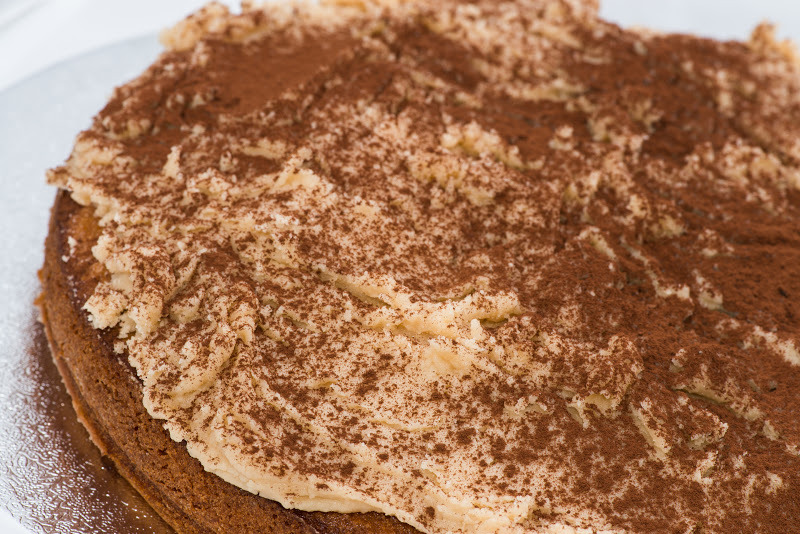 Banoffee cake??? Now that is a concept and a half. Can't wait to try this, it looks divine!